What’s this all about then? | Kit Kats! So, what’s this page all about then? Well… those of you who know me will know by now that I have a bit of a Kit Kat obsession. As far as I can recall, I’ve always enjoyed a Kit Kat. They’re good for lunchboxes, good for dunking in tea, and generally not a bad biscuit. But I don’t think anyone would have described me as a ‘fan’ of Kit Kats… until I went to Japan. I first visited Japan in 2006. Before that first trip a friend said to me, “They make wine flavoured Kit Kats in Japan – please find one for me!”. I thought he was having me on, as all I could find were green-tea flavoured Kit Kats. On my second trip the following year, I looked again. This time I found ’sakura’ (cherry blossom) Kit Kats (actually, peach flavoured). Still no wine flavour. I moved to Japan in 2008 and lived there for three years. While living there, the obsession grew and I discovered all sorts of different, unimaginable flavours of Kit Kats. I would often do the rounds of the convenience stores, looking for new flavours I had heard about, and visiting a different region, where they sold regional varieties of Kit Kats, was a real treat! You might be wondering why Kit Kats (originally created by British company Rowntree’s) have become so popular in Japan. Well, the way ‘Kit Kat’ is pronounced in Japanese is ‘kitto katto’, which just happens to sound like the Japanese phrase ‘kitto katsu’ (きっとかつ), meaning ‘certain victory’. Because of this, Kit Kats have become a popular item for packed lunches in Japan, especially during exam season. Nestlé (who now produce Kit Kats worldwide), even make special ‘exam season’ Kit Kats, Kit Kats you can post, and ones you can write messages on. It’s phenomenal. In 2011 I moved back to the UK, where our Kit Kat flavours are much more limited. However, there are new ones sometimes, and I still have connections in Japan to get hold of fascinating foreign flavours! So, this site is a celebration of Kit Kats from around the world – mainly Japan and the UK, but if I visit somewhere else, I will keep an eye open for Kit Kats. All the photos you will see on this site are my own photos, unless otherwise stated. My full collection of Kit Kat photos can be seen on Flickr. I should also mention that I am in no way affiliated with Nestlé or any other company connected to Kit Kats. If you come across this site and find you can relate to this curious hobby, please leave me a comment and let’s share links! I found the wine flavored one! It was awesome! I can send you a pic of the box/wrappers if you like. They were mini-sized. OMG – I blog about the many flavours of kit-kats in Japan too. I blog about other things as well, but whenever I find a new flavour I blog it. Thanks for stopping by! Always happy to meet another Kit Kat fan!! Your site is great, by the way! Well it’s a lot easier when you are actually IN Japan !!! Are you in Tokyo ? BTW, I haven’t eaten ANY of those listed yet !!! No, I’m in Nagoya right now. I hope my site can help you translate! Wow – you should eat them too! Some of them are awesome! Usually I try to buy 2 of each flavour – one to eat straight away, and the other to keep until I can take photos of it. for awhile we were getting lim.eds in california but then it stopped. the mocha one and probably the mint were best. the orange cream was delicious as well. I just found your site and I can’t believe how many Kit Kats come in the ‘mail’ version. Living in rural Japan I dont have access to these but you’ve inspired me to pack some extra money on my big city visits to bring some back!!! I pigged out on the wine version when it was released. There were actually two different flavours released at the time but I thought one was much better than the other. I managed to send about 10 boxes back to Australia for Christmas presents!! Now my friends are enjoying the Ginger Ale ones. Kit Kat doesn’t release different flavours in Australia so it is a real novelty. Thanks for stopping by, Achan! Yeah, we don’t have flavours like this back in the UK either – isn’t it amazing how popular Kit Kats are here?! Yes, I think my motto in life is “Have a break, have a Kit Kat”! Hahaha! My apologises redracer, you can see I haven’t lived in Oz for a while (10 years) and my friends never told me that so many flavours were available. I do remember orange and peppermint ones when I was a teenager though. I look forward to checking out the shelves on my next trip home!! I love that you have this site for kitkats! I was so excited when I tried a peach one in Japan, and subsequently a banana one in the UK but it was a foreign import and cost a fortune. I miss the foil wrapping UK kitkats used to have but the Japanese internal wrapping made up for it. 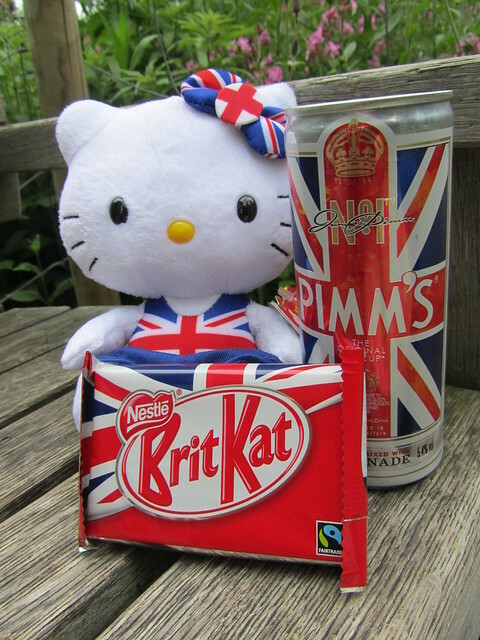 Yay-another Kit Kat blogger! I will be linking you on my own blog – Jen Ken’s Kit Kat Blog. I’m very jealous of your Kit Kat daruma and the Kit Kat yogurt dessert. Cheers and look forward to reading more. Wow! I never knew there were so many varieties of KitKat. Thanks for your informative blog. I’ll certainly be coming back for more. i live in Portugal and also collect kit kat, really addicting, i buy every new flavour and it’s nice to know i’m not alone :). By the way if you have doubles of any wrappers i may be interested in exchanging. Happy to hear from another Kit Kat addict! Really? That’s a shame… If you don’t keep them instead of throwing them out i don’t suppose you would put the wrappers aside and send them to me, i’ll pay for the shipping costs. Thanks for your reply Haikugirl, can’t wait to see what other kitkat flavours are out this season! I have to admit I didn’t think there was so many flavours and styles. I would love to know if you have found any kit kat flavors that are dairy free.